Microblading is the process of delicately implanting pigment beneath the surface of the skin by using sterile, disposable, tiny hand needles to create the appearance of hair strokes. Traditional tattoos use a machine, however the microblading tool is guided by the pressure and technique of the artist’s hand and can create crisp thin lines or “hair strokes” that simulate actual strands of hair. This process is meant to be a natural, subtle looking enhancement that creates the illusion of fuller brows. Unlike traditional tattoos, microblading brows are designed to gently fade over time, allowing the artist to make changes to colour and shape over the years, as client’s natural coloration and facial changes occur. 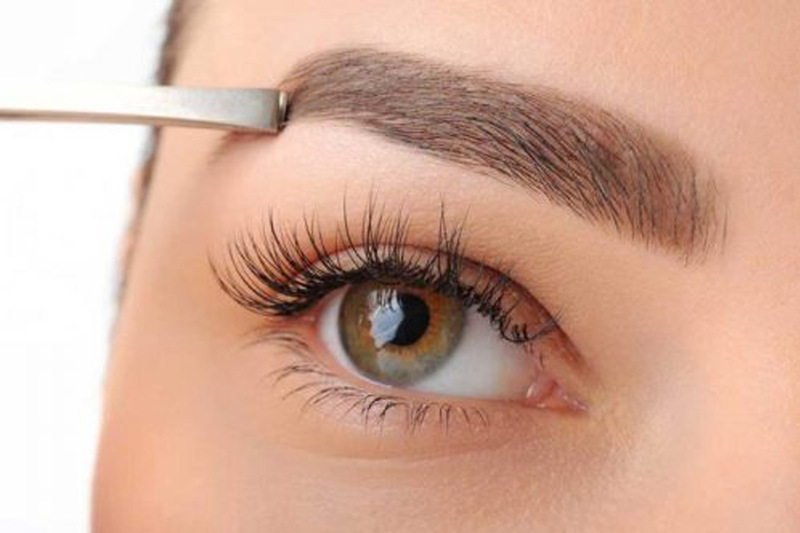 If you are guilty of over plucking, have sparse/uneven eyebrows or simply desire to change your shape or get a fuller look, we can make your dream brows come true with Microblading. Pain tolerance varies from person to person. We use numbing cream before and during your procedure to maximize comfort. Most clients rate the pain a 3 in a scale of 1-10 and compare it to having your brows threaded. Some sensitivity comes immediately after the topical anaesthetic wears off and after that, there is minimal tenderness and swelling. Having this service performed during your menstrual cycle may increase discomfort during your procedure. How long does the procedure take? Initial appointments take approximately 2-3 hours, during which time we will design the brows, discuss colour, numb and microblade. Follow up appointments take approximately 1.5 hours and are booked 6-12 weeks after the first procedure. How is brow shape and colour decided? When you come to your appointment, We will look at your skin type and undertones, as well as brow colour, natural growth patterns, facial shape, bone structure and will take into consideration how you normally shape/fill in your brows. With our professional opinion and your preferential input, we will design and shape a custom brow to something that is natural and flattering for you. You will give us your feedback and tweaks will be made until we get the shape where you are happy. We will match the colour to your natural brow hair and only hair that sits outside the newly created frame will be removed. Regular body tattoos involve carbon based ink, cosmetic tattoo procedures use pigments. We use iron oxide based pigments of the highest quality. These pigments are safe to use and are created to slowly fade over time. Microblading is a two step process: an initial session to establish shape and a perfecting session 6-12 weeks later, during which we will assess your pigment retention and make adjustments. We can schedule your follow up visit 6-12 weeks after the initial service, to give the skin the proper time it needs to fully heal. Depending on your skin type or if you have very little brow hair (including alopecia), additional touch ups might be required and will be charged according to the current price list. The pigments won’t wash away like your topical makeup, but they are designed to fade over time. Different factors including skin type, sun exposure, pigment colour (lighter colours fade faster), chemical peels coming in touch with the area, will affect how fast the pigment breaks down. For best results, it is important that you follow up the aftercare instructions and touch up your brows every 1-2 years or as needed. Most clients come for a colour boost after 1 year. Please note that final results CANNOT be guaranteed, as each unique skin type has different retention and breaks the pigment down at diverse rates. We will re-evaluate how your skin has received the pigment during your 6-12 week touch up (included in the initial procedure price) and make any adjustments necessary. Some people may require additional sessions if they have previous tattoos, light hair, very sparse brows or oily skin. Oily skin: it can cause the pigments to blur and heal more “powdery” and lighter. Smoking: smokers may notice their tattoo will fade faster. Sun Exposure: Increased sun exposure will result in premature fading. Avoid sun while healing and once healed, put sunblock on your brows. Colour of pigment: lighter colours will fade faster. Bleeding during the procedure: any bleeding will reduce the amount of pigment absorption. Avoid blood thinners prior to and following your appointment, including certain medications (blood thinners, ibuprophen, tylenol, etc. ), alcohol and coffee. What can I expect immediately after getting microblading? Your 3D brows will appear darker and more intense than expected for the first days. They will gradually soften as the skin heals. You may have some redness and swelling, but it will be minimal and should subside after a couple hours. Slight tenderness may occur for a few days. It is recommended that you follow the aftercare diligently. Many clients that do not have sensitive skin are not even red around the brows when they leave. Many clients return to work directly after their procedure. You do not need to “hide” after this procedure. How will my cosmetic tattoo will look in the future? What can I expect once it has healed? There are many variables that will affect your final result including your skin type, skin tone, colours used, skin thickness, medications, lifestyle, amount of natural hair, etc. During your appointment, We will analyse your skin’s undertone to anticipate how pigment colour will fade in the future and mix pigments to ensure a good match to your current eyebrow and hair colour. Most of the time, the colour will stay true and just soften naturally over time. Sometimes, colours may fade to different tones, which can be corrected at your follow up appointment. Eventually, the eyebrow tattoo will soften and have more of a powdered look. This happens with all clients as skin ages. To keep your strokes looking crisp and fresh, a touch up is recommended every 1-2 years. Results will vary with each individual and can NOT be guaranteed.